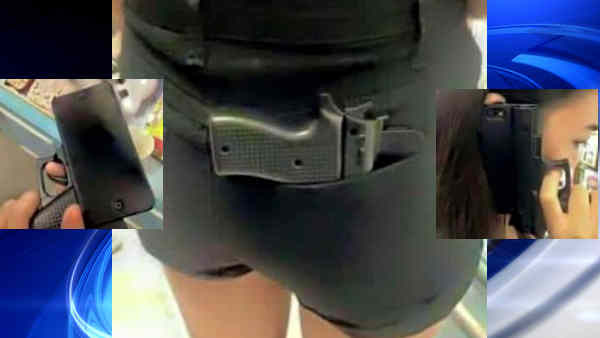 CHICAGO (WLS) -- Two Chicago aldermen are taking up a fight against those gun-shaped cell phone cases. Aldermen Ed Burke and Willie Cochran say the cases could be confused by law-enforcement officials and call them a threat to public safety. The proposed ordinance would outlaw gun replica cell phone cases as well as other products shaped like guns. If approved, violators could face up to $750.